Pour vos vacances des bons plans et des coups de coeur : location d'appartement et de maison. 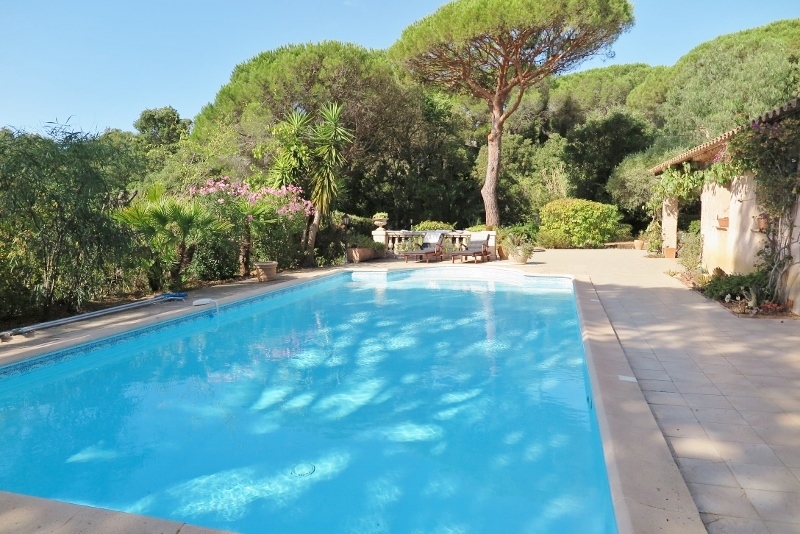 Semi detached villa in a quiet area at 2 km from Gigaro beach and at 4 km from Ramatuelle. It is composed like follows : 1st level 3 bedrooms : one with a double bed and a nice terrace from where yo ucan enjoy a small seaview. A second one with 2 singles, and a third bedroom with one single opening on the garden. Downstairs a 4th bedroom comports 2 singles. There are two bathrooms : one with a shower and one with a bath and washingmachine. The livingroom with open kitchen open on a terrace with garden. There is a dishwasher, micro wave oven, fridge with freezer. TV and telephone.